I want to start this post by saying something very important – I am not a budget expert. I have zero formal financial education. However, there are certain tips and tricks that I have found work for my husband and I that I also want to share with all of you because you – my readers – have asked me to. So, let’s get to the actual post, shall we? Two years ago, I left my teaching job. If you want to know why, you can check out my post here about changing the plan; the important thing to know for this post is that doing so resulted in cutting our budget in just over half. Not only that, but I was starting a business which COSTS money. It was a really scary time for us, and I spent many sleepless nights worrying about what this would mean for our future. For the first 6 months, we were lost. We made some bad decisions and charged more money on the credit card than we should have. We were living like we had before I stopped teaching. It isn’t his fault at all, but needing to cut expenses was especially hard for my husband. While I had gone through multiple job changes and job losses with my family growing up, Bryan hadn’t. To this day, Bryan would still rather me cut fresh produce out of our budget than dinner and a movie. Seeing our credit card debt rise only made me more stressed, though. I know people who had even more debt, but ours was still enough to make me panic (car loan, two student loans, credit cards). So last year around this time, we had a hard money talk and began to make some much needed changes. Since then, we have been able to maintain our bank account at a steady amount with at least a couple months of expenses in case of an emergency. We were also able to pay off our car 6 months earlier than scheduled. This was HUGE for us! We are both so excited to see what 2015 will being – to implement the strategies we have learned over the last year and add some new strategies we have learned from research. I will share them will all of you step by step because we found that trying to deal with too much at one time overwhelmed us. Some of you have expressed similar feelings. Hopefully they will be helpful and get you thinking about what your financial goals are. 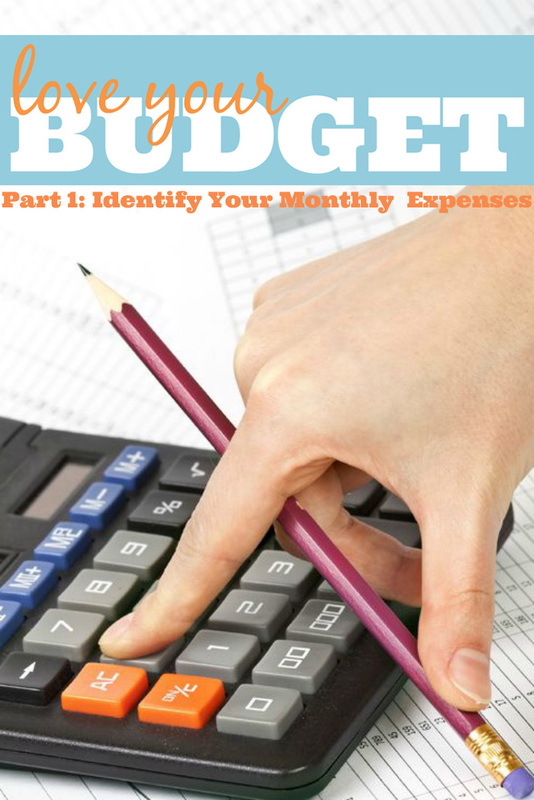 So now that we got through all that introduction, let’s begin Love Your Budget Part 1: Know Your Monthly Expenses. Before you can make the important decisions of your itemized budget and decide where your money should go, you need to know how you are actually spending your money. This can be done in two ways (or even a combo of the both): 1, evaluate your expenses from the last few months, or, 2, start evaluating your expenses moving forward. 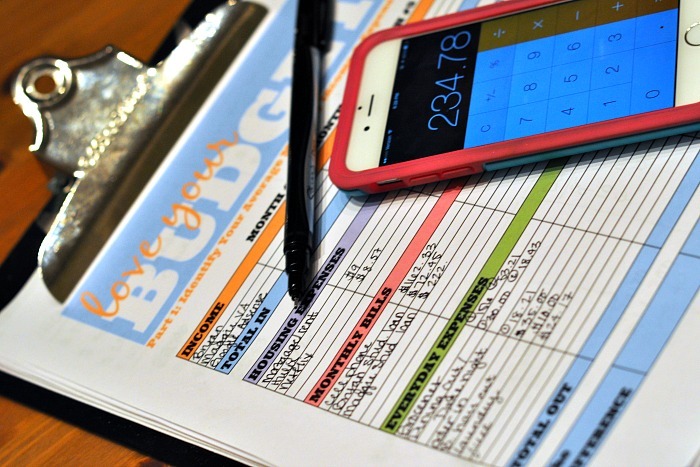 Having this information will give you the most important info I think you need for a budget – how much money do you have left after monthly expenses? This number is what we primarily used to pay off our car sooner last year. This number is what gives you options. Filling out this worksheet may not necessarily be easy. You have to write down every little purchase and you may not like some of the things you see. In fact, I am confident that if you have never done this before that you will realize you are spending more than you think you are on certain categories. For us it was going out to eat or ordering in. BE SUPER HONEST – Do not hide purchases from your partner or try to cover up bad decisions. This is the time to be completely honest so you all know how and where your money is going out every month. TRACK EVERYTHING – Even if you don’t know where exactly to put something or if something is a quarterly purchase, you need to write it down. Just make a note next to it for when you are ready to create a detailed monthly budget. LOOK FOR PATTERNS – Do you refill your IPass or public transit card every two months? Does someone get a hair cut every month? Do your normally go grocery shopping once or twice? How often do you like ordering pizza? Recognizing patterns to how you spend your money will help you understand your monthly and quarterly expenses more clearly. This is something that my husband and I need to sit down and do! Thank you for the helpful post! I’m starting to get better about budgeting, it took awhile. Fabulous money saving tips! I’m pinning all of it to our Money Saving board! I love the worksheet! You are so right…having a budget and being honest with it is crucial to bein successful. It feels so good when you achieve a financial goal you’ve set! Great tips! 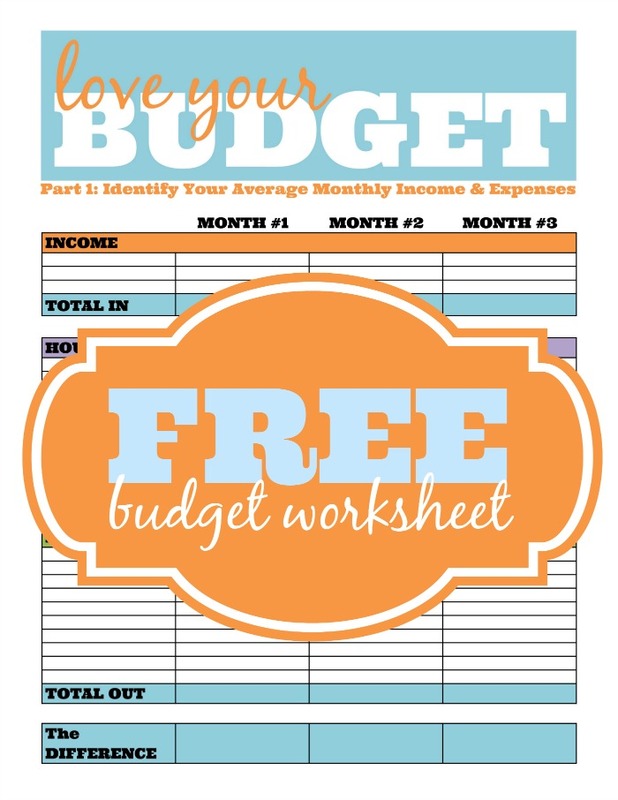 I should get more organized with our budget and a worksheet might be just what I need! Sharing this with the husband! I’ve been talking about creating a better budget and we just keep putting it off. Thanks for the free worksheet. This is such a great post to help people try to figure out what they should be spending in order to stay within a budget. We do not use credit cards and I am thankful for that. I do still need to work on saving money though! I’m dumbing down my debts this year. I’m tired of paying all the interest on credit cards! That worksheet looks super clear and organized. It will definitely help people get their ducks in a row. It is easy to get off track. We’ve definitely been there! Thanks for the reminder and the printable! I am terrible at keeping a budget. These are great tips for starting the year right. Very good advice. A budget is vital. I agree Debbie – keeping a budget is a must to – helps you save $$ for rainy days! We are big on following our budget. I hate the stress and anxiety of credit cards! Budgeting is such a tricky thing to tackle. We are finally starting to get our budget together. It’s so important especially if you have a family! I really need to be better about keeping a budget, I don’t even tally my check book…. need to be a better example for my kids. I never understand adults that don’t budget, it would be like not breathing. It’s so important to track everything – everything. I need to get a handle on my expenses. It is time for us to get on a budget and stick to it. thank you for this. It was very helpful. I am always looking for ways to help me better budget my money. I’ve been meaning to do this for months. MONTHS! It literally makes me cringe just sitting down and working out our budget. But it needs to happen ASAP. Thanks so much for the great tips. It’s so important to track everything. Even little purchases can add up when making a budget. We found it amazing how much money we spent adn did not even realize it. We keep a spending journal – shocking some days! I am in desperate need of a complete budget re-do. I need to sit down and work on it soon.